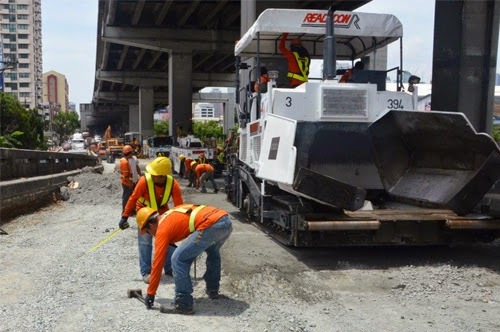 Schedule: DPWH Road Repair in Manila (May 15-18, 2015) - Balita Boss! Along Batasan Road from Filinvest I to Sinagtala St. (2nd inner lane, East bound). Along C-5 Road from SM Warehouse to Lanuza St. (3rd outermost lane, North bound). Along EDSA from BDO to M. Ponce St. (2nd lane from sidewalk, North bound).